As with most north bound trips, meet up is at our flat. We even had a movie night/sleep over to ensure that nobody will be late the next day. For the record, the 2 movies were Drag me to Hell and Temptation Island. 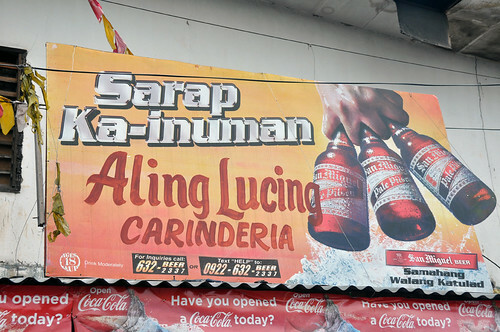 The inevitable official first stop of our food trip: Aling Lucing’s carinderia in Angeles for the most famous sisig in the Philippines!! 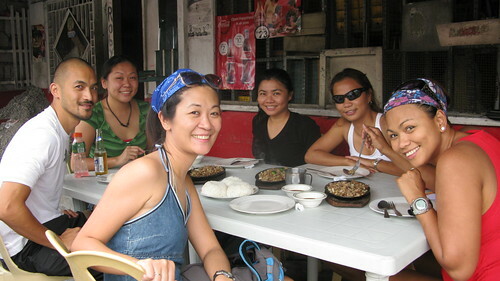 A chain of Aling Lucing’s Sisig has opened all over, even in Manila, but we wanted to go to where it all began. 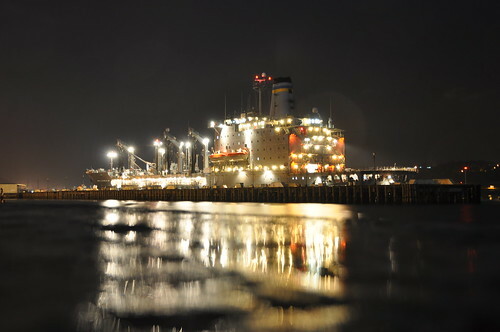 And not just anywhere in Angeles, because there are already several branches in Angeles, but at the original carienderia! SISIG, for your info, is a popular Filipino dish and pulutan (something you eat while drinking) and legend has it that it was invented by Aling Lucing when she decided it’s too wasteful to throw away pig heads. She minced pork ears, face, skin, whatnot and cook them in oil, chilli, onion, vinegar, pepper corn, soy sauce, then serve in sizzling plate with calamansi (local lime). Yum! makes me crave for it again. Note that we had 3 orders of sisig on our table for 6 people. All you need is rice actually. The true test of good food is if you don’t have an ambiance to go with it and it’s still wicked. Look at the left end of above photo, how there was an ongoing renovation next door. After stuffing ourselves full (fool), we decided to take a walk around the charming town. Time check: 2.30pm. This beautiful Byzantine inspired church began its construction in 1877 and was finally completed in 1896. 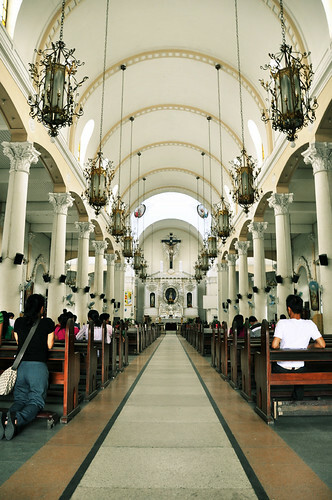 It was with the combined effort of people of Angeles, which at that time was a relatively new town, recently separated from San Fernando, Pampanga. 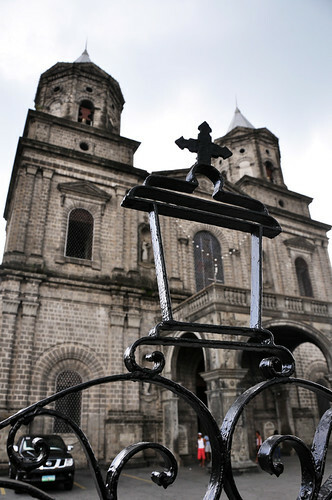 The church did not change so much since it’s completion in 1896 even after the pull out of Spanish and World War II. 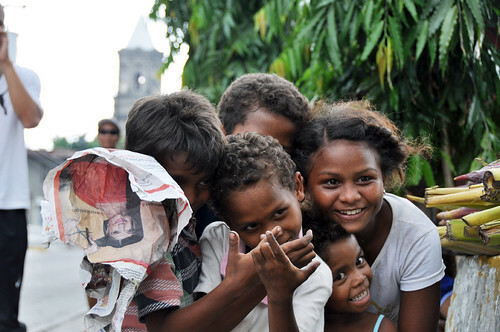 Record has it that the Aetas were not so welcome in Angeles long time ago. 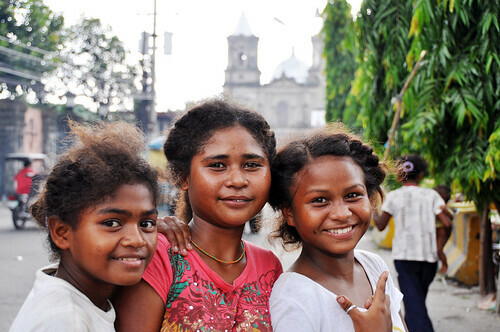 The locals even had religious processions in the belief that it will drive the Aetas away. The recent volcanic eruption of Mt Pinatubo has displaced them from their ancestral homes and now you find them begging for survival. But we found a group a few meters from the church selling fruits who seem assimilated to the Angeles society. The playful children had a fun time posing for us. After being stuck at Nepo Mart due to sudden monsoon rain for about an hour, everybody got hungry again. 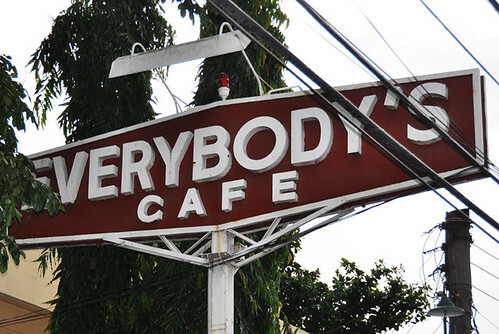 And what more fitting restuarant than Everybody’s Cafe: The Home of Authentic Kapampangan Food. 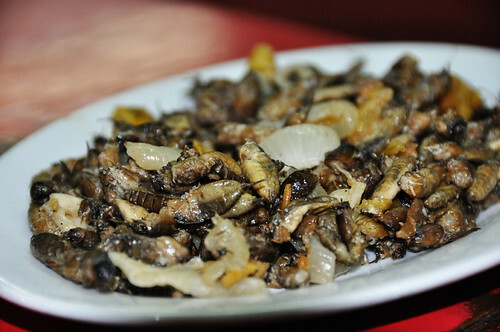 Find below some of the (un)usual food they serve. They also serve food we consider not so unusual. 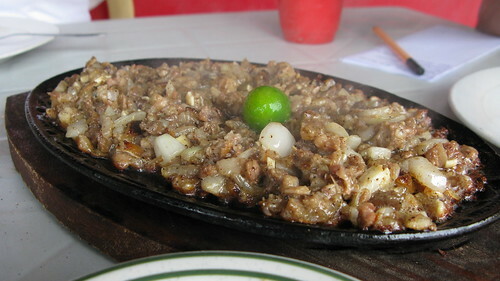 wow, i'm salivating for some sizzling sisig! 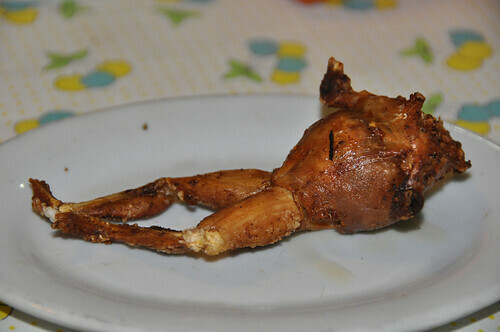 aling lucing's has been featured in anthony bourdain's show on the travel channel when he went to the philippines!